Don’t worry — We’ve got you covered with blogging 411 info to help you efficiently leverage resources in seven of the areas where many bloggers typically need support. 1. No idea of what to write. You’re not alone when it comes to what I call Blank Screen Syndrome. Here are seven ideas to get you started. Answer customer questions. This is a no brainer for business bloggers. Marcus Sheridan of The Sales Lion calls this the secret sauce. Collect the questions prospects and customers ask from sales and customer service; then answer them. Report the news. Focus on what’s happening in your field. Check research and other new developments. Still stumped, check out Google Trends. Feature your customers. Interview your customers. Ask questions about how your product fits in with their activities. Include a photo of the customer with your product. Show customers how to use your products. Create useful information on your offering. Alternatively show consumers how to integrate your products into their lives such as mix and match coordinates. Offer a photo album. Put together a set of images to show how your category is changing or how to use your products. Use a list of evergreen titles to inspire you. Here are 323 titles to help you with over: 125 Free Blog Titles, 99 Free Blog Titles and another 99 Free Blog Titles. 2. No technical support. Most blogging software is relatively easy to use. If you can use word processing software you should be able to blog. It doesn’t require much more knowledge once it’s been set up. While knowing HTML can be helpful, it’s not necessary. Skip the free blogging options; it’s worth the investment long term to have full control of your blog on your own URL. Here’s a list of 20 blog plug-ins to use. Get technical help to set up your blog. I have a professional webmaster who specializes in WordPress take care of my blogs. He charges about $500 to $1,500 to set up and customize a WordPress blog, depending on the amount of content and complexity of the design. Take advantage of WordPress free resources. Use WordPress.tv to get video tutotials and Codex.WordPress.org for all WordPress documentation including beginner’s guides. 3. No creative resources. 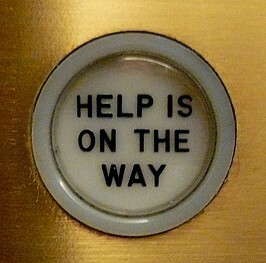 Like technical resources, creative support is often focused at the setup phase of your blog. This means investing time at the beginning to determine how you want your blog and related content to look. Once you’ve set your basic formats, it’s relatively easy fine tune the design elements. Leverage your existing branding on your blog. Incorporate the related design elements into your blog theme. A good blogging webmaster can help accomplish this with little additional cost. Convert information with simple tools. For basic diagrams and charts, use Word or PowerPoint (I do.) For screen captures, I use Skitch. Use Instagram or other smartphone app. This is one way to enhance your own images regardless of the quality of your photography skills. Since every smartphone contains a relatively good camera, it’s easy to take your own photos. Take advantage of a free image source. Use Flickr or the Library of Congress. Make sure that the images state that they are freely available for commercial use and that you link to the appropriate source. Ask customers to share images of your product in action. Get their permission in the form of a release to use the image, especially if children are in the photo. 5. No search optimization. Blogs provide great content for search engines but their robots can alway use a little help figuring out what’s what on your blog. Here are six steps to improve your search rankings. Also, here are eleven tips to optimize your blog. Focus each blog post on one keyword phrase. Concentrate each article on one phrase and related search terms. Don’t try to do everything in one post. Here are some SEO blog specifics. Use the keyword in your title, preferably near the beginning of the title. Show the keyword’s importance in your article. Also, incorporate the keyword in the first sentence. Use real words in your permalink. This is URL for the blog post. Don’t use a computer-generated alternative. Include links in each blog post. Specifically link to at least one internal source or other post on your blog and at least one to an external source. Optimize non-text content. This means adding relevant information including keywords to images, video, audio, presentations and PDFs. Make sure your file names describe the media content. 6. No traffic. Remember, the goal of writing a blog is to communicate to an audience about a specific topic. Once you hit publish, you still must promote your content. Here are twenty-one tips to get traffic and another twelve social media tips. Distribute your posts via RSS feeds and emailings. Encourage visitors to subscribe to RSS feeds and/or emailings to receive your content. You can do this for free via Google’s Feedburner. Share each blog post across relevant social media venues. This can be automated or hand crafted. Include sharing icons at the top and bottom of your posts. (Note do this when you set up your blog.) Add a call-to-action to get readers to act. Also include email. Share your posts in your non-blog emailings. If you’ve got other email lists, incorporate a blurb and link for each post. Promote your blog posts on your other owned media. This includes your website and other customer communications. Link to your blog on other social media profiles. Let people know that your blog exists. Promote your blog across your organization and customer base. Include references on your intranet, employee emailings, and printed materials including packaging where appropriate. Include a link to your blog in your email signature file. This one can be done on personal email as well as across organizational email. Incorporate a relevant call-to-action (CTA) at the end of each post. Decide what you want readers to do. You can use more than one call-to-action. Include links to your product within your post. Entice readers to find out more about your offering by linking to the specific product pages where appropriate. Also, link images where relevant. Associate a promotion code with each link. Make your links are trackable so that you can prove their source. Streamline the purchase process. Reduce the number of steps between your blog post and the sale. Your blog can’t do everything. A lot depends on your website and/or landing page to close the deal. Keeping your blog going without the appropriate resources can be a challenge. Use this list of blog 411 tips to help you find the support you need to stay on track. What other tips would you add to this list and why? What other areas do you find that you need blogging help? Where have you found the appropriate resources? Tags Blank post syndrome, Branding, Call-to-action, free blog titles, images, Photo, SEO, WordPress. Bookmark the permalink. An awesome Blog created here. I have now kept in mind the things you have mentioned and yeah keep sharing this kind of fantastic information with us. You have the best writing. Every day, almost, is a new article filled with great ideas..! Thanks so much.